Man of no trust, like Wagon with no draw bar, cart with no cross bar,is improbable of knowing directions and moving loads - By Confucius. Ethical Integrity—Integrity and commitment is the root of Greenman Survival. Enhancement of industry and trade by upholding ethical integrity and promoting credibility. Mind Wisdom—Innovation and ingenuity is the source of Greenman growth. Get with it, Advance with times through collective plotting and strength to strive with innovation and ingenuity. Physical Fit—Unity and Cooperation is the engine that Greenman steadily rides on. In spirit of unity and cooperation, Greenman pools wisdom and efforts of everyone to achieve thorough understanding and healthy progress. 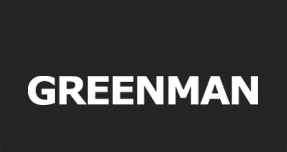 Mission: Greenman stands for high quality products and relentless ongoing improvement of after service for greening cause for all mankind. Marketing Doctrine: Open market with wisdom, build trust name through action,earn the best economic returns for customers as the first priority. Service Motto: Be Friends with Greenman, Be Free of Worries. Maximize Customers interest as the first choice. Service Generates Value. Heaven, fashions after Tao; Tao fashions after nature - By Laotsi. Benevolence fulfills responsibilities to others, Etiquette of Behavior Salutes People. Those who love people are always loved by others, and those who respect people are always respected by others - By Mencius.